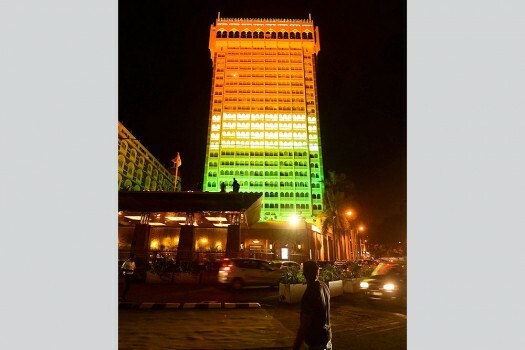 Taj Mahal hotel building illuminated in Indian tricolor ahead of the Independence Day, in Mumbai. 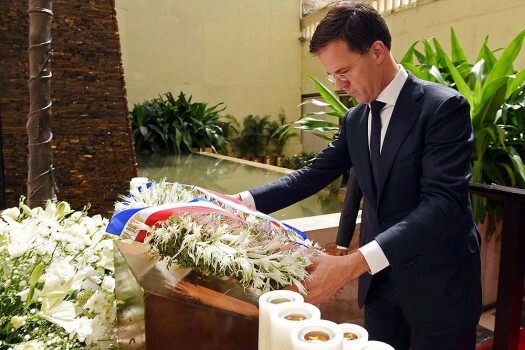 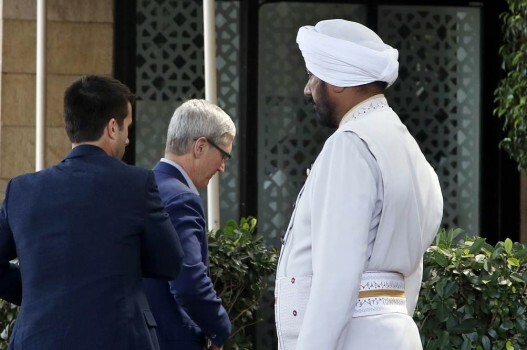 Netherlands Prime Minister Mark Rutte pays tribute to the victims of the 26/11 Mumbai terror attacks at the Taj Mahal Palace Hotel, in Mumbai. 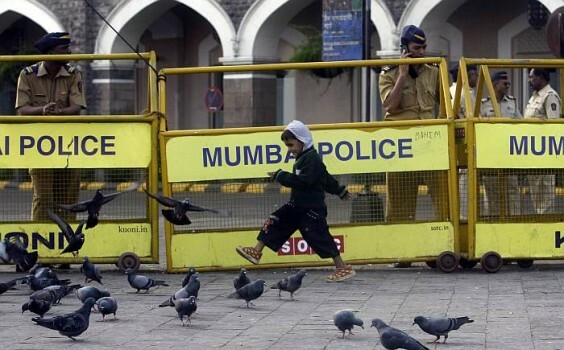 A boy feeds pigeons in front of the Taj Mahal Hotel, one of the sites of the Mumbai terror attack, on the sixth anniversary of the attack in Mumbai. 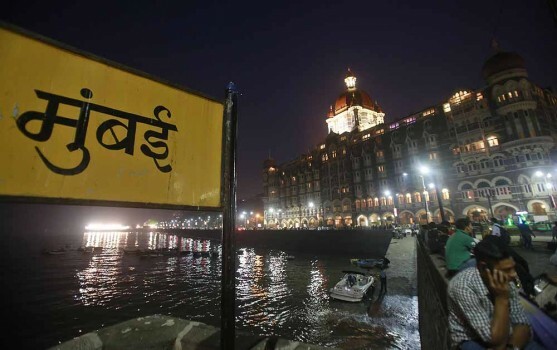 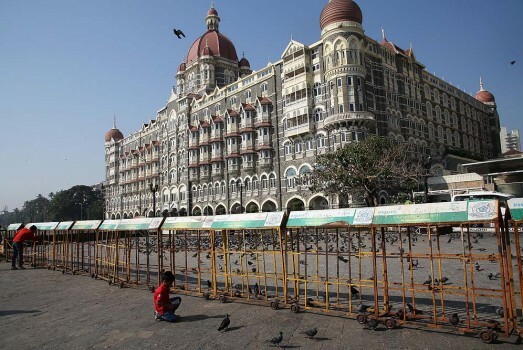 People sit on a promenade outside the Taj Mahal Palace hotel, one of the sites of the 2008 terror attack, on its fifth anniversary in Mumbai. 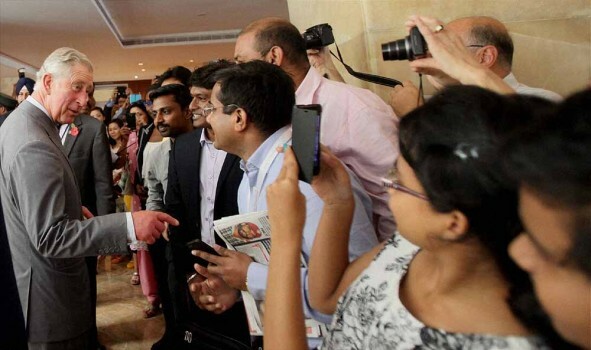 Prince Charles interatcs with tourists at Taj Hotel in Mumbai. 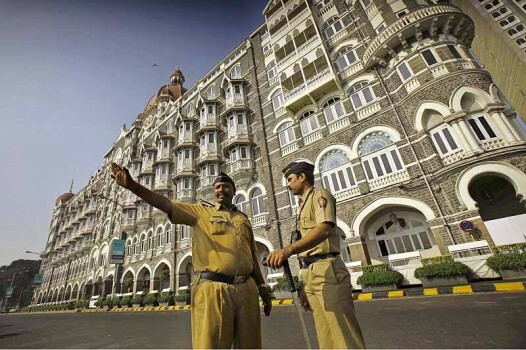 Police officers stand outside the Taj Mahal Hotel, one of the sites of the terror attack in Mumbai, on its fourth anniversary. 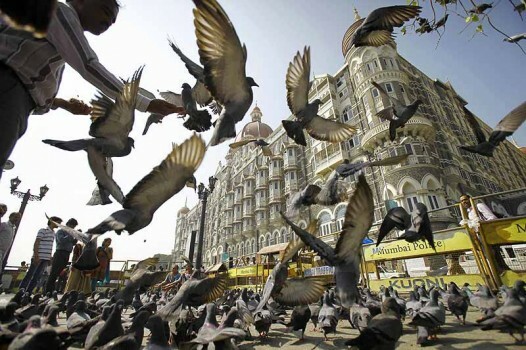 A man feeds pigeons outside the Taj Mahal hotel, one of the targets of the 2008 terror attacks in Mumbai. 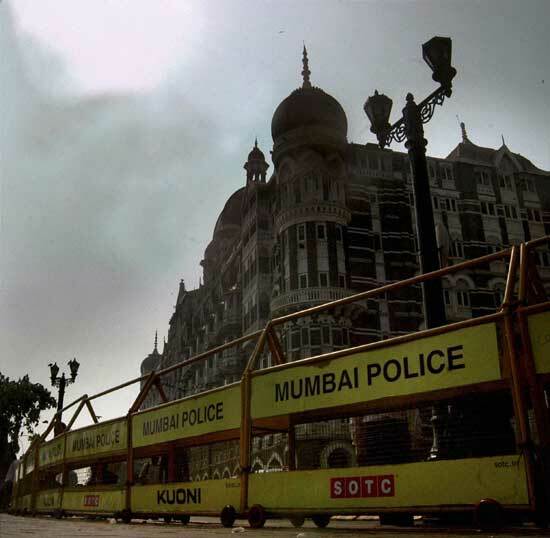 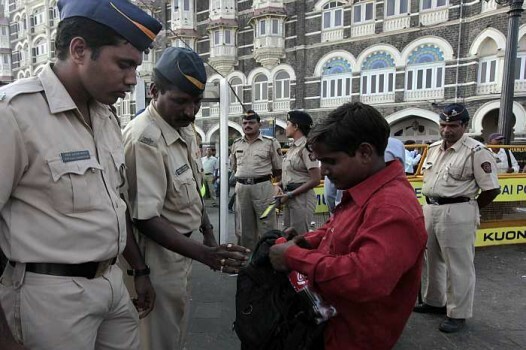 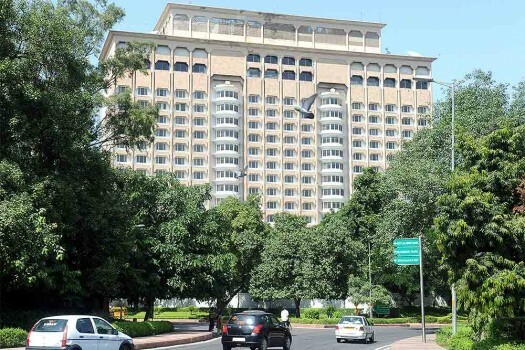 Police barricades put up near the Taj Palace hotel after a terror alert in Mumbai. 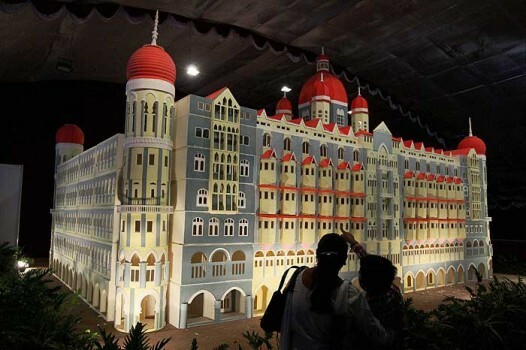 A woman and her son admire a replica of Mumbai's Taj Mahal Palace Hotel made from five tonnes of sugar during the annual cake show in Bangalore. 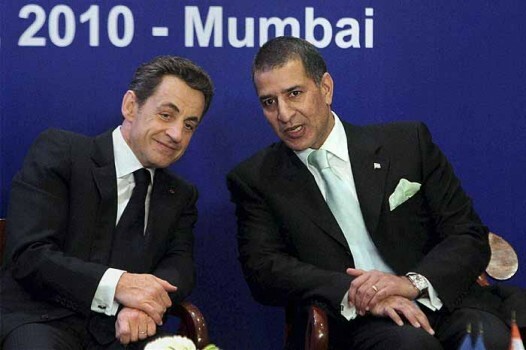 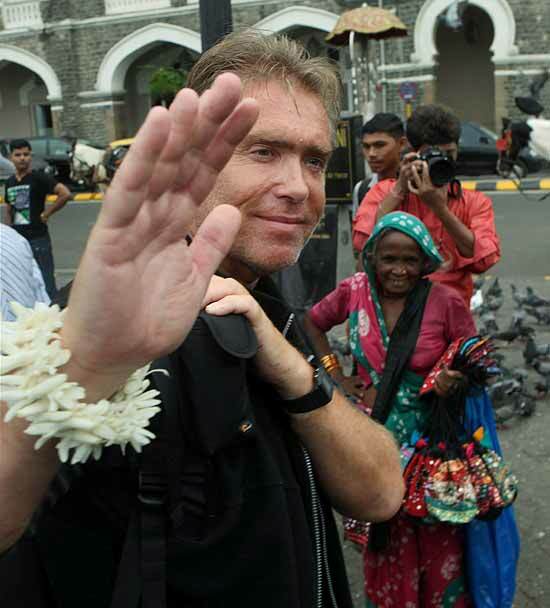 Norway's Arnie, a victim of 26/11 Mumbai terror attacks, outside the Taj Mahal Palace hotel in Mumbai. 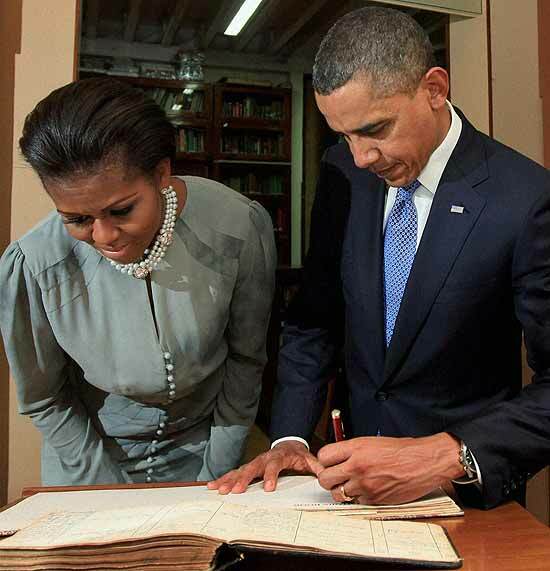 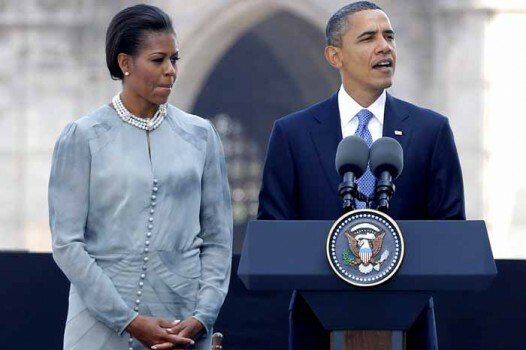 US President Barack Obama along with First Lady Michelle signing the visitors' book during their visit to Mani Bhawan in Mumbai.